Over the past couple of weekends, I've been photographing St Paul Park and Cottage Grove a bit more than I normally do. 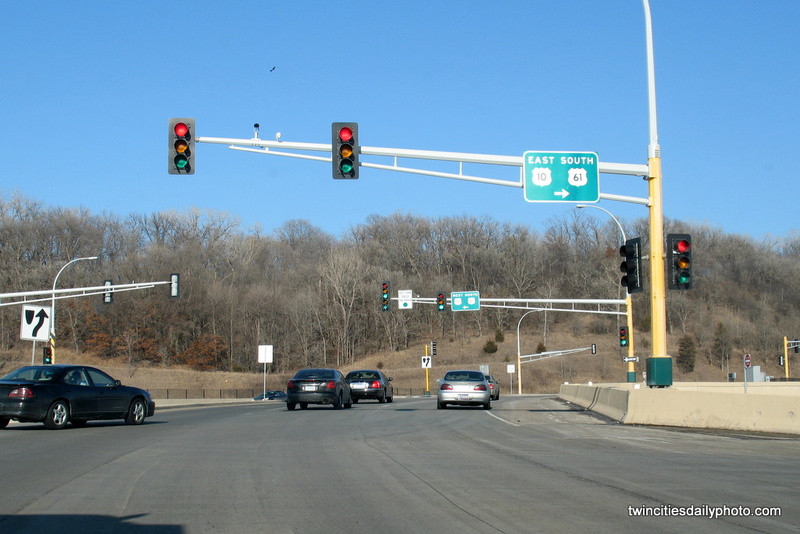 While waiting for the light to change on 70th Street and Highway 61, I snapped this photo of the intersection. 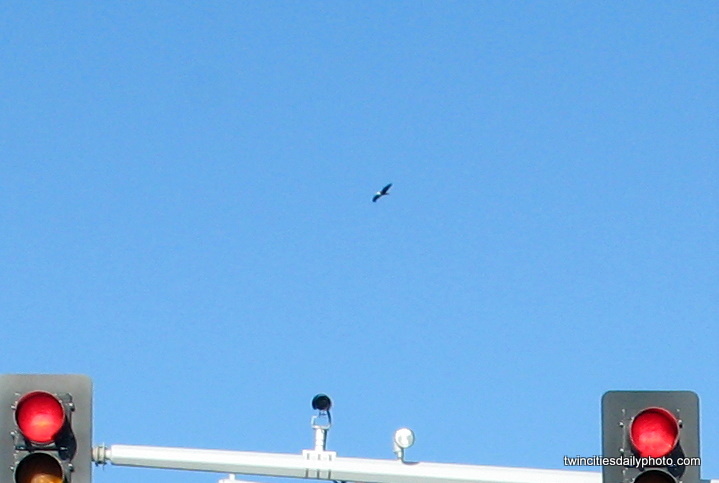 Upon further review this evening, that speck of dust on the lens is a Bald Eagle. I've cropped and blown the photo up to see it a bit. It is way off in the distance and I never saw it while taking the photo, but it was surprise to see it after the fact. And so it is - nice catch! I got a few quick eagle shots when in La Crosse recently & hope to post them soon. It's nice they've made a healthy comeback to the upper Mississippi.